One of the many services our Summit Sotheby's International Realty In-House Advertising Agency performs is to compile statistics in the resort markets that people often compare with Deer Valley and Park City. As the first ski season with visitors enjoying the ability to ski various resorts with Ikon as well as Epic Passes comes to a close, this comprehensive 2018 Resort Report may be of interest. Posted in Miscellaneous, Local News, Lifestyle and Recreation, Canyons | 0 Responses to "2018 Resort Report"
Click here to read more about Deer Valley's latest top notch rating by Ski Magazine. Posted in Miscellaneous, Local News, Lifestyle and Recreation | 0 Responses to "Deer Valley Ranked #1 Ski Resort in North America"
Plan Your 2017-2018 Ski Season at Deer Valley! Deer Valley has announced the Winter 2017-2018 ski season! Click here to review the dates and winter activities. Posted in Miscellaneous, Local News, Lifestyle and Recreation | 0 Responses to "Plan Your 2017-2018 Ski Season at Deer Valley!" Collectors and ski lovers should take note of the Swann Galleries auction tomorrow, March 16th. Early 20th century travel posters highlighting winter sport destinations will be sold during the 10 AM auction. Click here for the dailymail.co.uk article. Access the auction website by clicking here. Posted in Miscellaneous, Lifestyle and Recreation | 0 Responses to "Vintage Ski Posters Auction ~ March 16"
Celebrate Spring Skiing in Park City! It has been a fabulous Winter, but Spring is in the air! 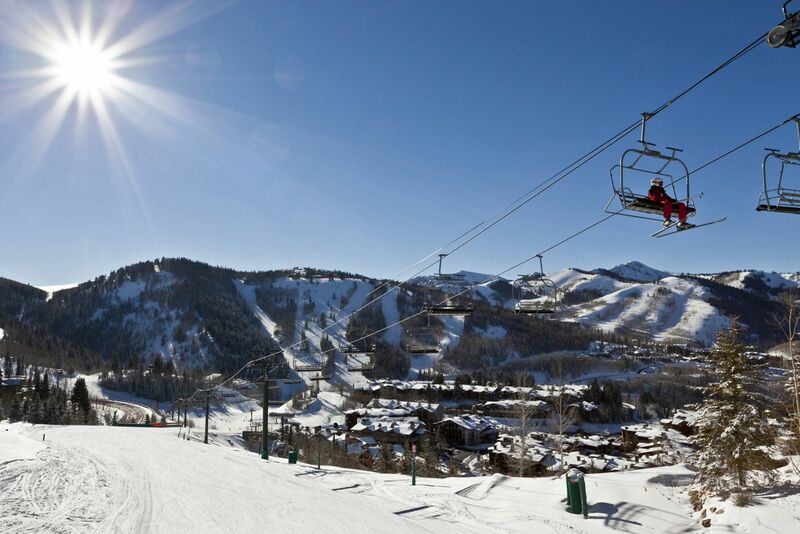 Park City Magazine lists the top 10 reasons to enjoy spring skiing in Park City starting with longer and warmer days, live music, and other post-skiing activities. Click here to read the full article. Posted in Miscellaneous, Local News, Lifestyle and Recreation, Mountain conditions, Canyons | 0 Responses to "Celebrate Spring Skiing in Park City!" Whether you are visiting the Salt Lake City area or looking for a new adventure, this article lists a dozen unique Utah ski experiences. Click here to read "12 Incredible Ski Experiences You Can Only Have In Utah." Posted in Miscellaneous, Local News, Lifestyle and Recreation, Sundance, Mountain conditions, Powder Mountain, Canyons | 0 Responses to "Unique Utah Ski Adventures"
POW! It's A Great Time To Be In Park City! Graphic courtesy of skiutah instagram. Posted in Miscellaneous, Local News, Lifestyle and Recreation, Sundance, Mountain conditions, Canyons | 0 Responses to "POW! It's A Great Time To Be In Park City!" Hard to believe that it has been 15 years since the 2002 Olympic Winter Games! Celebrate the wonderful magic and memories of the 2002 Olympics in Salt Lake City! Click here to read more about the planned celebration. Posted in Miscellaneous, Local News, Lifestyle and Recreation, Canyons | 0 Responses to "Hard to believe that it has been 15 years since the 2002 Olympic Winter Games!" Check out this graphic illustrating 119 inches of snow in 11 days! Click here to view the image. 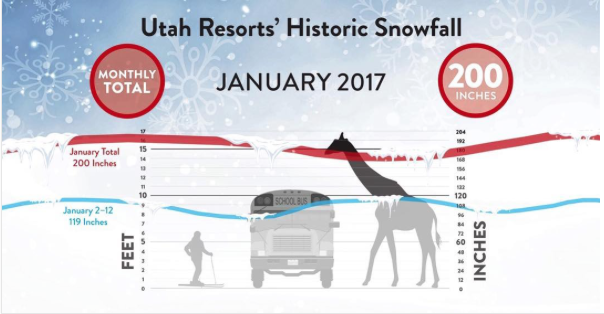 Posted in Miscellaneous, Local News, Lifestyle and Recreation, Mountain conditions, Canyons | 0 Responses to "Utah Resorts' Historic Snowfall Graphic"
Are you a ski powderhound? Deer Valley is reporting 4 feet of new snow this week! Sign up for powder alert emails and check out the mountain webcams at Deer Valley Resort! Posted in Miscellaneous, Local News, Lifestyle and Recreation, Mountain conditions, Canyons | 0 Responses to "An Epic Week of Fresh Powder Reported"
Already Registered? Sign In Below. Not Registered Yet? Sign Up! It is easy and free to do, just fill out the information on the right. Search for all listings available. Get notified whenever a property that meets your criteria becomes available, sells or has a price change. Save your favorite properties for future reference, rate them so you can remember what you like. You will be sent exclusive market news and updates. Please note: You will never be spammed, have your information sold or be contacted beyond how you want to be contacted. Your Park City and Surrounding Areas Real Estate Professional. I am here to answer all your questions about Park City Real Estate.